I think that any girl would agree with me if I declare that the best kind of false eyelashes would be the ones that are foolproof. As a complete idiot when it comes to applying falsies, it came as a treat when these "flirty little secrets" came my way one day and generally just made my life better. I've never applied falsies on myself even if I declare myself a beauty fanatic. I am just scared of poking my own eyes and having no one to help --- well, I couldn't even imagine. Speedy, Safe and Smart, is what 3S stands for and when you're a klutz in the application department, the "just-stick-it" directions of these lashes sounded pretty much like heaven. The truth is, it can truly be mesmerizing to see eyelashes of the fluttery kind. To apply, just remove from the stand, apply on the lids using your fingers, cut if needed. The adhesive is usable twice, and there's an extra sticky strip you can use as well. 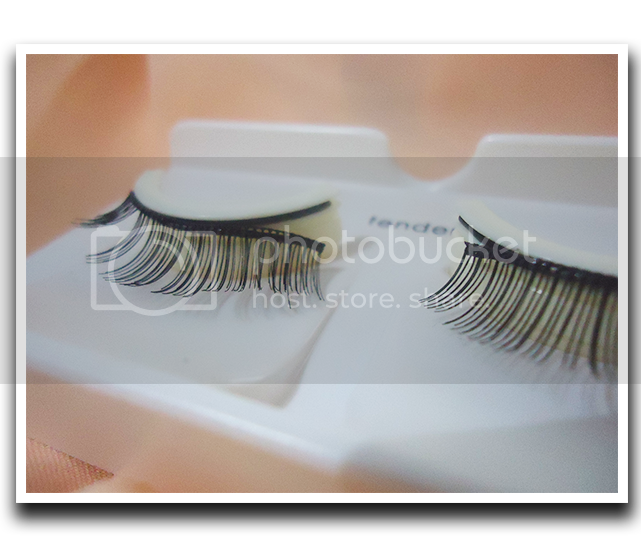 After four uses, you can use a standard eyelash glue --- value for money! May appear expensive at PHP 250 but this is a sturdy product which makes more sense to use than the super flimsy ones at PHP 20 per pair but are falling off by the middle of the day. Overall: I can't contain the happiness of my day when I'm wearing falsies. The joy of seeing through thicker lashes is just indescribable. Oh the joys of being a girl!